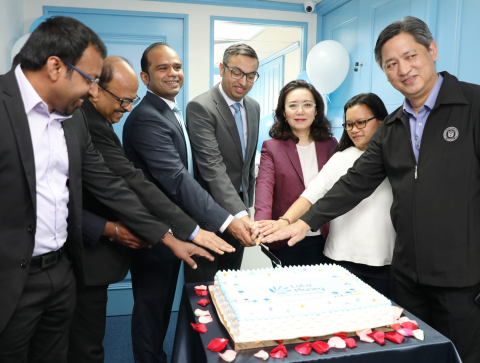 LuLu Financial Group, the leading financial services and payments solution brand, started its operations in Hong Kong with the inauguration of their head office at Hankow Centre in Kowloon. Adeeb Ahamed, MD, LuLu Financial Group along with Surendran Amittathody, VP-APAC, LuLu Financial Group, Priscilla Law, Head of Financial Services, Invest Hong Kong, Rajiv Raipancholla, CEO, Orient Exchange and officials from the Philippines Consulate General, Hong Kong during the opening of the LuLu Financial Group’s Hong Kong head office at Hankow Centre in Kowloon (Photo: AETOSWire). LuLu Financial Group is an ISO 9001:2015 certified global financial services enterprise that serves banking institutions, business houses, local and international corporations as well as individuals. The group’s services are designed to facilitate secure and instant financial transactions through digitized state-of-the-art systems that deliver flexibility, reliability, and transparency.